Internationally downward pressure on defence budgets has meant that the majority of military equipment contractors are looking for ways to provide fit for purpose products at competitive prices. One approach to reducing cost has been to source the lowest price standard optical components / systems and then work to make them suitable for the military application the product is being supplied for. However, producing a lens / lens system for military use requires careful consideration of its resistance to vibration, shock, temperature and water ingress in addition to ensuring high reliability and top performance. The benefits of sourcing a designed for purpose MIL-SPEC lens extend far beyond operational considerations as many contractors will admit to the huge amount of time they have wasted on trying to adapt ‘low cost’ off-the-shelf lenses without success. In a military scenario – operators demand much higher reliability than for commercial products. Resolve Optics MIL-SPEC lenses have much higher life expectancy than regular commercial grade lenses. The defective rate is also extremely low. Often lenses in military products are regularly subject to vibration. When functioning, vibration can be quite harmful for the main structure of the lenses. Slight vibration might cause malfunction in lenses, severe vibration to the body structure may result in damage that’s beyond repair. A MIL-SPEC lens can be designed to withstand vibration effects. Shock waves are also highly detrimental to the performance and operation of high precision military optical instruments. When you place the device in a vehicle, ship or aircraft, it is not only affected by vibration, but shock waves can shatter a motor gear, damage an aperture and reduce a motor’s life expectancy. A Mil-Spec lens can be designed to withstand shock effects. Regular commercial grade lenses often do not react well to abrupt temperature changes. 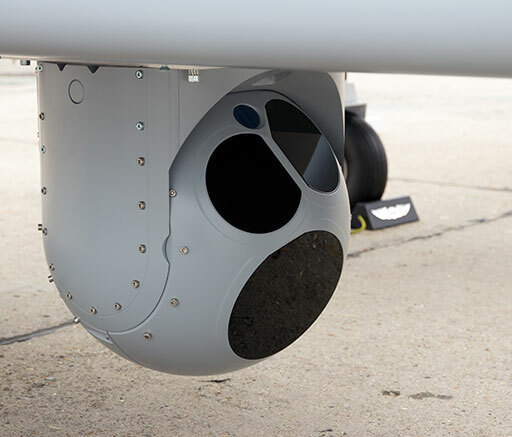 In different military scenarios – lenses can also be subject to extremes of temperature – for instance the temperature for aerial photography is often less than -30°C, the temperature on the deck of a ship or for vehicles operating in the desert can often be higher than 50°C. Only designed for purpose MIL-SPEC lens can offer this type of temperature resistance. Used outside military optical systems are subject to 24/7 weather conditions – many commercial grade lenses cannot withstand the ingress of water or provide long term resistance to the corrosive effect of the salt in sea spray. Producing a rugged MIL-SPEC lens optimised to your application is a complex task. However, drawing upon over 20 years of experience – Resolve Optics optical, mechanical and electronic engineers and designers have a proven track record of producing high quality military fixed focus and zoom lenses. Sourcing a ‘fit for purpose’ lens from Resolve Optics has resulted in shorter lead time, lower cost and a better overall product for a growing number of military contractors. To confidentially discuss the requirements of a key optical element for your military product please contact Resolve Optics on +44-1494-777100 or email markpontin@resolveoptics.com.